I have quite an expansive collection of various genres of games from tabletop to board games, card to tile games that cover a vast number of categories and themes. 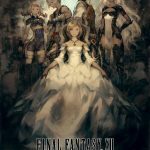 One area of gaming that I have little experience in is Role Playing Games, that is non-video game RPGs, in any case, as some of my favourite video game titles are RPGs, and like many others, I have sunk thousands of hours into some of them. Today’s review is the RPG mammoth that is Degenesis: Rebirth Edition, which is the second instalment of this title and the first that I will have ever fully jumped into to experience what an RPG has to offer, an RPG that I should warn you straight off contains adult themes, language and artwork. Much like a lot of video game RPGs, such as The Elder Scrolls or Fallout, a ‘tabletop’ RPG is a story-driven experience set within the creator’s real or fictional world. Players will create their own playable characters (PCs), each have their own skills and traits aiming to upgrade their PCs throughout the story which could have them battling their way through a monster-infested dungeon or sneaking aboard a Star Destroyer to rescue a Princess. PCs may find better weapons, maps, supplies and so on throughout the journey whilst interacting with non-playable characters (NPCs) to glean information from or barter for useful items. Walking PCs through this experience is the role of a Games Master (GM) who is responsible for creating a story using the source material given by the creator. The GM must know the world inside and out, every race, culture, enemy, etc. and can add to these with their own NPCs and locations to enhance the experience. A GM will describe a situation to the PCs, the location they’re at, what items are close by, which NPCs are present, etc. They will then ask each PC what they would like to do, such as talk to an NPC, search a particular area, run away and so on. Depending on what the PC chooses to do, it will determine how the story progresses, with dice rolls often used to decide encounters or skill tests. The year is 2073 AD on planet Earth, which is probably very much akin to the way we live today, that is until a huge asteroid bombardment struck the planet, creating giant impact craters. The Earth’s plates and crust begin to break up, resulting in volcanoes erupting, seas and rivers drying up or being replaced by lava, acid rainfalls, and a pretty devastating tsunami hits Africa. Basically, civilisation breaks down as the Earth’s landscape, notably Europe and Africa, which is what Degenesis focuses on, changes irreparably. This apocalyptic event is called the Eshaton. Humans survived this violent ‘fire’ period, but a second major ordeal was about to be dealt to Homosapiens in the form of a new Ice Age that will cover the majority of Europe. As the climates shifted and Europeans struggle to eke out an existence, Africa’s deserts turn to jungles, and its inhabitants flourish. The year is now 2595 AD, the ice has retreated, rivers, trees, and grass return, and the Earth as a whole has begun to look a little like its old self. Humans have now broken down into seven main cultures, although many more live outside of these. For example, what used to be Germany is now Borca, Poland and part of Russia are now Pollen, and Spain is Hybrispania. Within these seven cultures are thirteen cults, such as the Judges, who wander the wastelands armed with great hammers bringing law, order and judgement to those they encounter. Or the Spitalians (my personal favourite) who are a mix between doctors, scientists & priests that hunt down ‘creatures’ that threaten mankind’s existence and were once in fact inhabitants of Earth before the asteroids brought within them plant life that had begun to mutate humans and animal kind alike: This is called Homo Degenesis. 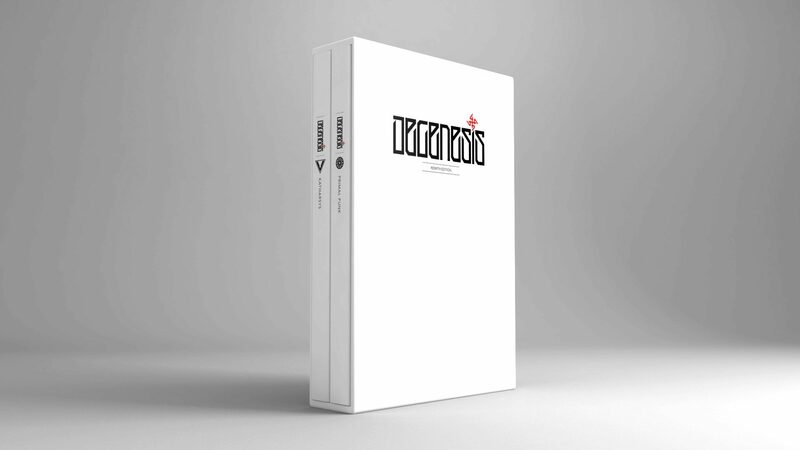 Degenesis comes in the form of two books, the first being Primal Punk and the second Katharsys. 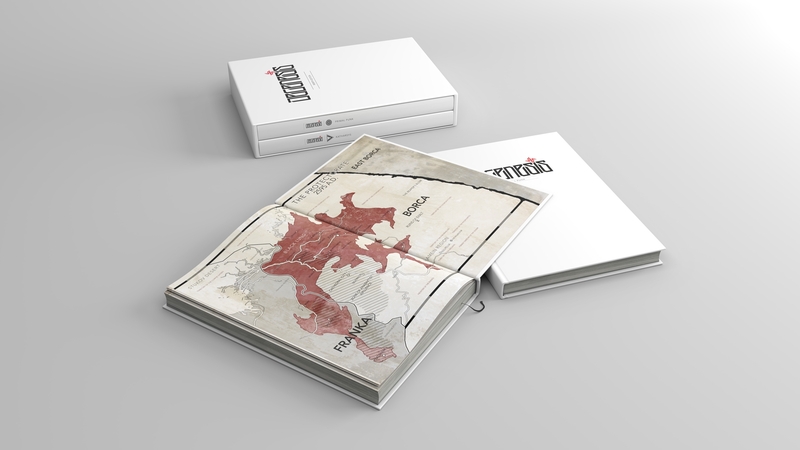 Primal Punk, which explains the history of events, provides two maps of the new world, information on the lore, including cultures and ranking systems, basically all the building blocks of the environments in which you will be playing. The second book, Katharsys, walks players through character building from start to finish, beginning with a quick explanation of character building and then going through the attributes, skills, body (physical), agility, charisma, intellect, psyche and instinct stats. As with most RPGs, the characters’ attributes will start the campaign a little on the low side, with players given a set number of points to boost them at the start but increase as you travel further through the experience. 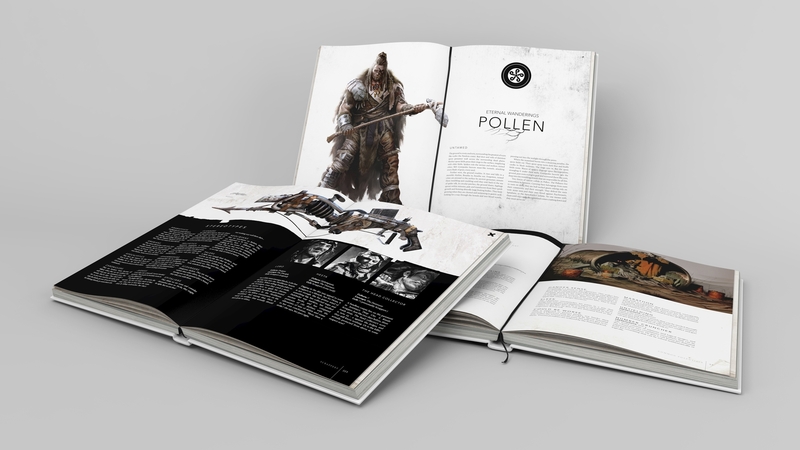 The book also explains the basic mechanics of the game in which players will have a number of actions per turn depending on in-game factors to make choices of what they would like their character to do. Players then use up to twelve D6s to resolve issues, such as combat, lock picking, rock climbing, pick pocketing, basically any action/decision made by players through skill tests: rolling 4, 5, or 6s are considered passes, with 6s also counting as triggers, which could give the players bonuses. Katharsys then gives advice to GMs on adventure creation and basic hints and tips on how to run a campaign. It also has the beginnings of a campaign to get players started if required, although creating your own from scratch would be preferable. 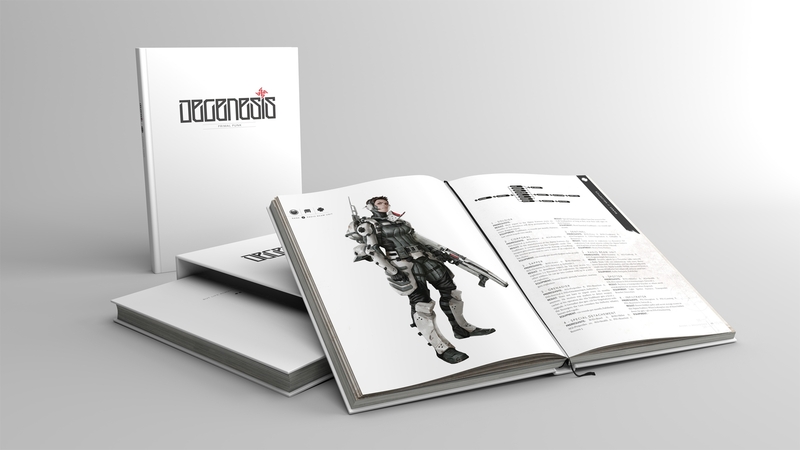 Both books have short stories throughout that add to the flavour, as well as giving players a small glimpse into the world of Degenesis. I obviously can’t talk you through much more of the game as it will change from player to player: Someone may play as a wealthy merchant who has hired a number of people with various skills in order for them to achieve their goal, whilst someone else might create a power-hungry warlord who is intent on taking over the Borca and rule as much of Europe as possible. I played a minute part of Degenesis, literally scratching the surface of its potential, which if played in full could provide enough source material to last players decades. What I really enjoyed about Degenesis is that the creators have provided the players with such an in-depth, expansive and involved world for them to explore but have by no way been oppressive or linear in the ways that players can experience it; the source material is vast but to the point. Add into all this the ridiculously high level and quantity of artwork included spurring the imagination on: Speaking of the artwork, it is probably the best that I have ever seen from a tabletop game. Some of the images actually look real, and the designers didn’t just think ‘we’ll put the odd bit here and there’, there is tons of art depicting all the cultures, creatures, weapons, maps and so much more. The art also expertly captures the mood and feeling of the game and surroundings of the world in which you play. It’s not just the artwork that is top notch; the production of both books is stylish, clean, easy to read whilst offering variety and also being extremely well presented. The gameplay is clean and basic. For example, if you are being attacked and need to avoid a dagger cut, the GM may have you test your agility. After rolling dice and you happen to pass, then your character might sidestep the cut unhurt; if you fail the roll, then your character could take a flesh wound. If you’re bartering with a shop owner for a new weapon, then you may test charisma, or if you decide to attempt to steal the weapon, then you might test your agility and psyche. Throughout my campaign I enjoyed the fact that players genuinely felt under pressure to make the correct decisions or to roll enough passes to escape the clutches of a Spore Beast or defuse a small bomb that is about to explode at the centre of a packed marketplace. I loved the environment that has been created, but there is so much material to read that it could be overwhelming to the point of being off-putting for some. 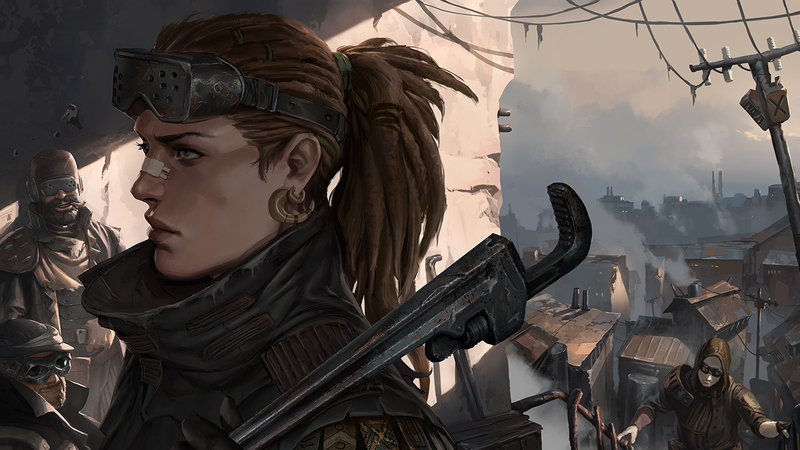 By no means can you buy Degenesis and immediately begin playing, a fair amount of groundwork between GM and players needs to be carried out first, although it certainly is rewarding once done and you begin your adventure. For more games like Degenesis: Rebirth Edition, visit Asmodee or find your nearest games store. Will Degenesis: Rebirth Edition provide me with my RPG fix away from the computer screen? Definitely not, although I think that is more to do with the ease of the console and the difficulty finding a gaming group consistent enough to run a campaign rather than what the overall Degenesis experience can offer. 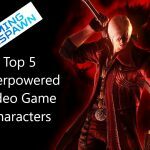 For similar reasons, neither will it lead me to increase my gaming collection with other RPGs, although even as I write this, I am or organising to play a Star Wars RPG. 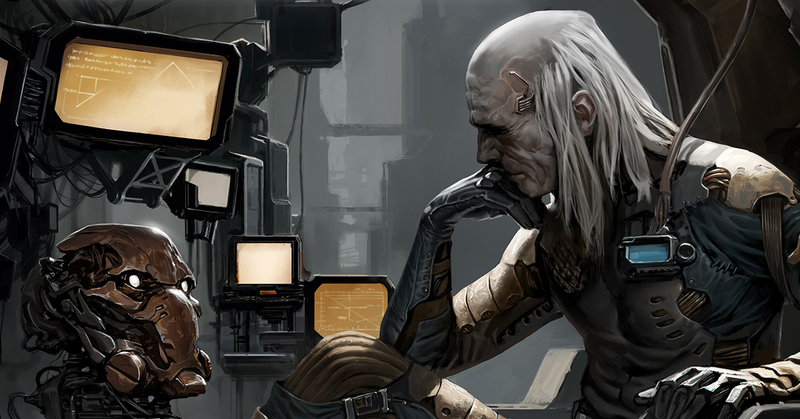 Degenesis is a great world to play in with outstanding production value, an easy system to use and amazing artwork. It was just possibly a little too heavy for a tabletop RPG novice to get the full experience out of it within such a short period of time.